How many prenatal appointments do you need during your pregnancy? Prenatal care is an integral part of pregnancy for most women. When choosing a healthcare provider, usually an OB/GYN or a midwife, trusting them from medically is not the only factor that is essential – you need to get on with them too, because you will see them quite regularly. How many prenatal appointments do you need during your pregnancy, and what does this depend on? We discussed the timing of your first prenatal appointment, and what to expect from it, a while back. Most women see their doctor or midwife for the first time somewhere around the eight-week mark. Then, they will typically go on to have another ten to 15 prenatal appointments before giving birth. The number of times you see your healthcare provider while pregnant depends on a few factors. Your health and medical history is one of them, and your healthcare providers policies another. In the first trimester of pregnancy, you will get your pregnancy confirmed, and discuss your medical history, and talk about nutrition. 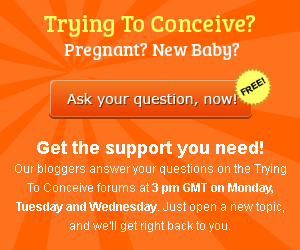 You will also have a conversation about your symptoms, and establish an estimated due date. Depending on your healthcare provider, you will also have urine and blood tests. The second trimester will most likely involve an ultrasound, and you might be offered prenatal screening tests. This is also the time that you should start preparing for your birth, and you can take childbirth education classes either through your doctor or midwife, or independently. The third trimester is, unsurprisingly, the period of your pregnancy during which you will see most of your doctor or midwife. A lot of healthcare providers like to see their clients every two weeks, to monitor their health and the babys. This includes checking the mothers blood pressure, Group B Streptococcus screening and testing, examining placental location, and fetal positioning. Of course, the end of your pregnancy is one during which you will focus on your impending labor and delivery. If you are experiencing unexpected symptoms, are simply worried, contacting your doctor or midwife at any time for an additional prenatal appointment is fine, of course. Besides that, women classed as high risk are likely to see their healthcare providers a lot more often than those who are experiencing typical pregnancies.